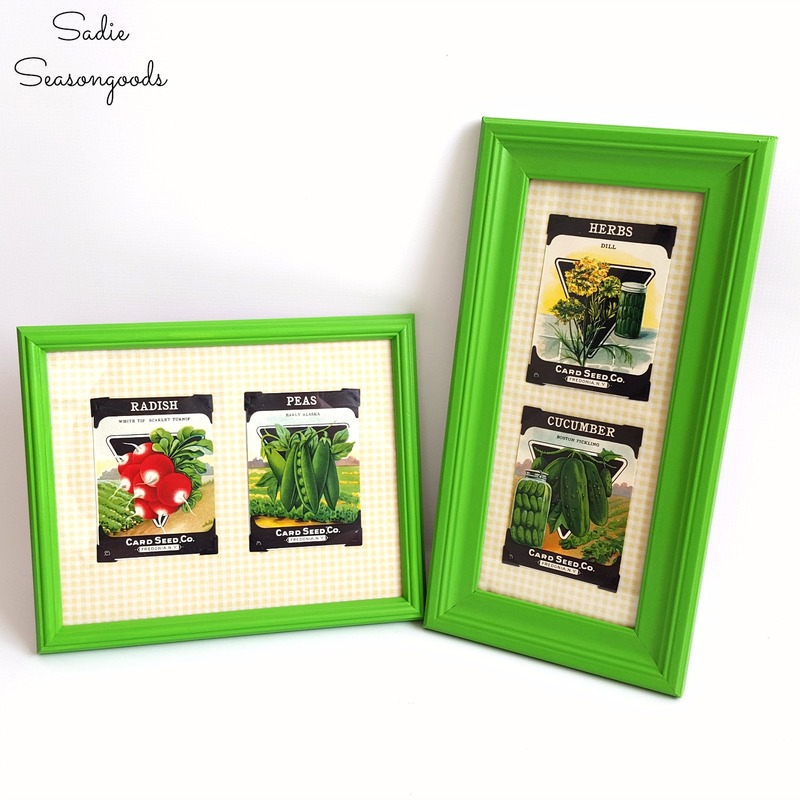 Country kitchen decor isn’t really my style, but I can’t help admitting that vintage seed packets are little works of art that would work PERFECTLY in that capacity. I kept buying little seed envelopes and decided to temporarily frame some as an ode to a country kitchen or farmhouse kitchen. Albeit, not MODERN farmhouse kitchen, but the classic retro kitchen of days gone by.